A while ago I stumbled across the most amazing vintage crocheted afghan on Etsy and I knew I had to make one just like it! 2. Turn and work a sc in each stitch, by putting your hook in the bump on the back of the chain. This creates a neater finish. You could also use a chainless single crochet foundation stitch; if you choose to do so, you can skip step one. Continue until you reach the end of the chain. Cut the yarn and pull through the loop on your hook. 5. Change color again, start with a standing single crochet stitch on the right hand side and single crochet 6 times before making the front loop double crochet. If you look at your work, you can see that you are moving the double crochet one stitch to the left on each row, so they sit next to each other! :) You no longer have to count your stitches; just single crochet in the dc from the previous round and then make a front loop dc next to that. If you continue in this fashion you’ll quickly see the dc’s creating diagonal lines across your work. And that’s all there is to it! :) Easy, right? Little disclaimer: This is not my pattern. I didn’t come up with it myself; I only figured it out from a photo. If this offends you in any way, or if you know the original source of this pattern, please let me know. Beautiful. Thank you for figuring this out. Just love it. Looks like Scrappy Steps Afghan on YouTube. I like your instructions better. pretty far you’re safe as far as copying someone else’s pattern. Your pattern looks easier to follow than the one I have – it’s in a book about using up your extra yarn in projects. ; I have several afghans knitted by various relatives from that book but sadly no one made this one that I know of. The Indian blanket made diamond shapes instead of lines. I made that Navajo indian afghan 20 yrs ago, so I know what you mean about the diamonds, I love that pattern, and I used to whip them up so easily, but now I’m 20 yrs older, and having trouble recalling exactly how its done, even tho I have the pattern…..my biggest problem seems to be I keep working on the wrong side, so get ridges where it should be smoother….??? trying to figure out exactly how to do these dc in the 2nd row away from current row……but, I’ll keep plugging away at it…..
that pattern with the diamond shape is lovely. Work on right side only, leaving 6″ for fringe at beginning and ending of row. I made this afghan many years ago and it does have the 10 repeating rows of different colors including black and white. It is also a very large afghan (around 230 stitches across). I have no idea where I got the pattern and it has been missing since I made it. I have always loved this pattern and intended to make another one, but never got around to it. I am so happy to see the pattern again and am going to make a smaller one for a baby blanket. Thanks for the inspiration! Same here! I made a CA King size one decades ago. I was told it was the Navajo stitch, but just by someone who told me how to do it. I didn’t have a written pattern. Seeing this makes me want to make another one. I’m thinking baby size, but I don’t really want to put fringe on a baby blanket. I’ll be thinking about it! This is absolutely GORGEOUS and really, really different! Congrats on a great pattern and a lovely blog! This Fabulous!!! Thanks for taking the time to figure it out and for sharing!!! Thank you! I’m gonna try it myself sometime! Your directions and examples were great. I learned how to do that pattern many years ago. The woman who taught me called it Apache Tears. There were 13 rows of colors and the only repeating pattern were the black and white ones (rows 12 and 13). Otherwise all the colors could be in any order. It is a great way to use up scrap yarn. so innovative, and exciting !!! Thank u very much for publishing the pattern.I like the groovy ghan very much I m very keen to make it but i am a knitter and know a little of crochet too, i understood all the instruction . i guess , i have to cut the yarn at every time i finish the color. You are 100% right Zora! :) Good luck with your afghan! In the picture it looks more like every 12 colour changes the pattern starts new on the right side…. No? beautiful!! perfect pattern for a crochet beginner like me! Thank you for sharing this!! i first saw this pattern back in the early 70’s when a coworker brought in the blanket her mom had made out of scaps years before. like you, i figured it out and made one, over the years, and my ds claimed it a few years ago! i think i’ll start another! thanks for reminding me. Wow…what a great pice of work. I*m more a knitter but I will give it a try. Because English is not my native language it was a little bit difficult with the beginning. But now I found it out. But I still have one question: How do you hadle the loose ends of yarn from the finished colors?? Will you sew them in or do you have a better solution? on the blanket that i made, the beginning and end of each row were left long (kind of like a fringe) then the lady had knotted 3 strands together like a tassel, she continued up both sides–i liked this, no ends to weave in! Thanks for the pattern. My former MIL made one for one of my kids oh, 25-30 years ago and it was always my fave. It’s going to be my first post-Christmas project. Going to try making this into a colourful scarf! Hi, My name is Michelle. I’m giving this a practise run before I actually do the blanket. On my sample I find that the colour of the row ( the second one below) that I do the dc on tends to stick out and mix in with the dc. Maybe I need to do the dc looser?? I’m working on this a little at a time. I have an entire bod (think the one they ship a kitchenaid mixer in) full of random balls of different color yarn that I inherited. 98% of it is acrylic so that’s what I’ll be using for this. I am so totally in love with this pattern!! My son ( he’s 2 1/2) says it’s his blanket so I guess I don’t have to figure out what to do with it when I’m done! Thank you so much for sharing your talents with us. I love this, and it is a good way to use up all of my extra yarn. thanks again. what does the so: mean? The information following the “So:” is just the crochet shorthand for the paragraph she had previously written out. Extraneous word — So … what’s new? Wow, I’d seen this pattern before and wondered how it works, so simple now you showed us! Looks really really good. This is absolutely gorgeous! Thank you for sharing it with us!!! Awesome – I have so much scrap yarn and a few skeins of awful bright colors that would be perfect for this! Another one for my “to make after finishing some UFOs” list! Hope you don’t mind that I pinned! Oh my gosh – I was one of those hippies who crocheted these blankets back in the seventies!! AS well as the colourful round cushions. That is amazing!!! Oh no, another blanket to add to the list of blankets to make! Just got to finally finish the current one first! Love it!!!! I’m an avid afghan crocheter/knitter and have a stash dedicated to all the small leftover balls of yarn. I’m sure this will empty that box a bit. Many thanks for this, it’s perfect for my next project. Thank you, LG. This is an answer to prayer. I had a poncho in the 70’s that was destroyed in a fire and am happy to find this! Also thank you LG. This looks to be an exact of one of the afghans my MIL made in the 70s. After gentle washing….already fairly felted….I noticed that one of the yarns she used must be an acrylic/partial acrylic as it is not felted like the majority of the yarns. Just this one color. Ha! I printed the pattern and look forward to seeing how closely my MIL was able to match the pattern’s yarn colors. Very colorful and cheery. I am sorry, but I do not understand how to do this. I tried it, but I could not figure how to crochet without turning. I looked it up online and I could only find left handed crocheting. Is there a tutorial you can direct me to? So basically you are working right after the original chain. Then sc right to left finished cut yarn for fringe. Then you start again on the right side without turning leaving extra for fringe at each side. What a great pattern for leftovers! I make a lot of afghans so I have a lot of different colors in varying amounts that I just can’t bear to part with….. this is the perfect solution! Thanks! Well done for figuring the pattern our, I saw the original vintage afghan picture but admit to being completely at a loss as to how it was done! Also, thank you do much for sharing it with us :-). OMG, looking at this pattern looks just like what my MOM made a bedspread of, she was 90 when she passed in 2006, and she loved wild colors, she made many afagans and large queen and king size bedspreads. Such a beautiful piece of work WINK! Thanks for sharing. I say this is your pattern :) You did create it, even if from a photo. I understand you have to put the disclaimer but this version of it is yours, in my opinion. Thank you for sharing, I am starting on mine today in hopes it will turn out just as beautiful. I plan on giving it to my mother for her birthday. I am at a lose of ‘fldc’, can any one help. My brain is not working this am. Thanks. Hi Wink! I’m left handed – so crochet left handed. Instead of starting each row on the right, could I start from the left and still have the same pattern you think? Haven’t tried it yet, but since you don’t have to turn each row, I think you can start from the left or right?! Hey Kim, I think you’re right! :) Good luck, let me know if it works out. Can I just clarify are the crochet instructions UK or US stitches? The instructions are written with US terminology. I am starting the mandalay, do you have the pattern for the overlay please? Also what can these be used for? I love this and had forgotten about it…I haven’t read all the comments but I have a pattern somewhere” and think it was called a lighting bolt… it is beautiful..thanks for jogging my memory. Gostei cada vez aprendo mais, eu estou amando de conhecer você, essa maneira deixou o ponto baixo rico. Wink…Wondering if you can send a list of the colors you used on your Groovy-Ghan? I promised my bestie I would send you a quick note to ask. She doesn’t necessarily need the specific yarn type, but wants a generic list of your color scheme. If anyone has asked this above, my apologies, we are yarn crafting together on FaceTime and she mentioned she wished she had this list. Thanks! This pattern is awesome !! Makes the blanket look 3D. Love the colors you used too !! When you get further on the blanket when do u start to do the dc’s on the right side do u have to count each row with the pattern? Please help! I think this is the very first time I have ever read ALL comments! Fascinating that you could figure this out. I am so impressed by that and think this is one I really have to try! Thanks so much for sharing your talent. I love this pattern and have been looking for the directions for some time. I’m “electronically challenged” but I’m a menace with creative stuff! Thanks so much!! I started working this up tonight. I made the sample first and wasn’t loving how long the single crochet was taking so I am making the actual afghan with a double crochet and treble crochet. It is turning out beautifully! Thanks so much for sharing. I like others, have seen this called the Apache Tears Afghan. Am Making table placemats with the stitch using just 70 sts chains. Thanks for such a versatile pattern stitch!! Thank you. I was searching for patterns for chemo rugs and this one is just fantastic. Many thanks for sharing this pattern after figuring it out. This one can be the go-to stash buster. Beautiful blanket! It was featured this morning on Moogly: http://www.mooglyblog.com/stash-buster-afghan-crochet-patterns/ Thanks for sharing your pattern! I inherited one of these. It was completed with loose ends used as fringe on each end. Can’t wait to try this. Can not wait to try this crochet pattern. I love the baby afghan you made. Beautiful choice of colors. I inherited an afghan that looks like this pattern and have always wanted to learn how to do it, because all 5 of my children fight over who gets it and I always thought it to be unique because no one else had one like it. I have not had the time until my recent disability to sit down and enjoy my crocheting again. So thank you for posting this. But I would like to ask if the reverse side looks like straight single crocheting? Because the afghan I have is this pattern on one side and single crochets and the other. Because the front side is mostly single-crochet-through-the-back-loop, the back side is mostly the rear side of single-crochets. There is a decided front and back, since all rows are worked from the same side. No turning. Each row is a single – cut – strand of yarn with the ends serving as fringe. YES ANYTHING YOU MAKE WORKING FROM RIGHT TO LEFT WITH THE DOUBLE CROCHET WILL BE FLAT ON THE OTHER SIDE. Absolutely BEAUTIFUL job!!! It is the Apache Tears, as others have said. And, it is usually done with 5 of 6 inches of yarn on each side for fringes. It’s good to see yours without the fringe, since it has been recommended that for baby blankets to NOT put the fringe on this blanket. I have an afghan my grammy made from the 1980’s in this pattern. or very very similar. i just stumbled across your blog entry. i’m selling a vintage afghan on etsy/ebay right now of this pattern, and i had no idea how it had been done! the opposite side looks like a different stitch, right? it’s a lovely reversible technique. thank you for sharing!! Did you have to weave the ends in? What type of trim did you use? It looks like maybe sc. What brand of yarn did you use? I love the pretty colors. It is beautiful! My MIL made these when she learned to crochet in the late 60s/70s. In wool and they are heavy. Our cat was a wool eater and damaged all three that we were gifted/inherited. Now that I learned to crochet 3 Septembers ago, I can repair them. Rip back to undamaged or frog back further and created smaller ones that are easier to handle. DIL machined washed two and shrunk one a bit,(and they made it back here again) the other not so much. Will see how they turn out. Thanks for the instructions. That stitch always stumped me…before learning to crochet…and may have yet, being such a newbie. Thanks a lot for such an easy and beautiful pattern. Funny, I count a beginning dc every 10 rows not 5 like you stated in an earlier post, which is correct? Love your work, it is beautiful! Love this pattern. But how did you get rid of the fringe and end up with a nice clean border? …soooo love this ghann of yours. amma start real soon. my mom use to make this pattern, and since has forgotten.. thank you!!! beautiful! I have one on the back of my couch just like the one pictured that my mom made about 40 yrs ago. I often wondered how and wished I had a pattern. Because its sc it is very warm. I do remember mom saying it took forever to do a row. Thanks for the pattern. Tamara, http://www.angelfire.com/oh/crochethook/patts/navajo.html In this pattern she says to crochet through both loops for the first and last stitches and back loop all stitches in-between. Maybe that will help. Scroll up through previous comments to see links to other versions of the pattern which may have different tips or photos to help. Counting the stitches that should be made before each ‘tear’ should help you find and more easily ‘see’ the beginning and ending stitch in each row. When I get the itch to make this afghan (I have too many UFOs at the moment) I will do a practice small scrap version perhaps a pillow front size (12 x12 or 16 x 16 inches) to get a feel for the stitches first middle and last…practice.) Maybe that will help you, too. I love this pattern – Thank you for sharing! it is so simple to do and looks so neat! and yes I am really a beginner who had to look up the stitches on google, although I was taught basic crochet and knitted socks, sweaters, toques, etc from quite young. Crochet was not big in my skill set but was intrigued and now that there are tutorials on net well I am game to try more! I have started out with 250 st. and will be making a full sized blanket for my Daughters or Grandsons who love to received home crafted things. I also weave baskets from cedar bark, basket grass and reeds and am happily sharing this skill with my family and friends. Keep up the good works Please! I want to make a full size and I would love to know how many chains I need and about how much yarn I’ll need. just a tip from my Gramma who told me the easiest way to keep yarn from unraveling while in storage was to take a small piece of masking tape and tape ends down, this works very well and doesn’t leave glue on yarn. I have this pattern in an old McCall’s magazine. They call it the Narrow Step Afghan. I am making one right now from your pattern and I think it’s turning out great. Thank you sooooo much! I am just a beginner at crochet and I saw that very same afghan you did on etsy. So I went to work searching the web this morning for the pattern and YOU were the person that had it written down :). You made my day, again thank you for going the extra step to write it down. It is printable. Highlight, copy, paste. Reduce photo size, increase font. Print. Or you can check out the links to the other pattern directions (in comments) and print one of those. I like this groovy-ghan! What a fun way to use up all my 1 color skins of yarn. I always buy one extra, just in case. Thank you for the wonderful patterns. Your directions with the picture examples are easy to follow. I appreciate the time you take to do this and sharing. my finished blanket looks awesome! thank you for providing this design! My daughters are all wanting a blanket with a different design, not granny squares, so am very happy to have found your pattern and use it to create a queen size blanket for my daughter! my grandson can hardly wait to see what his pattern will be like! please keep up the good works and have much enjoyment in your crafting!!! I have the same question and notice others with this question has no reply. Have you figured this out? Do you tuck in all your ends as you go or at the end of the project before you crochet the trim? Thanks! My aunt made many afghans like this only larger. That was over 60 years ago, so you’re GOOD! Thanks for the detailed directions. I have a closet full of year just waiting for this project. My aunt would sometimes leave the fringe on each row for a different effect. She also added crochet edges such as scallops. I did this one for my son when they got married 15 years ago. I love it. My gma made this blanket back in the 70s (I believe). I’ve been drooling over it for years. She’s been unable to remember the name of the pattern or find a copy. Thank you so much for taking the time to figure it out! But PLEASE help me. I have trouble with the edges of my work not being straight. Even when I count stitches it looks like the left side is at an an angle. What am I doing wrong? There are many variations of this pattern from long ago. I have not seen as many printed/published patterns but there was a version where dipping in the row/s below and wide colored striped pattern (such as in authentic Indian blankets) was called Navajo Afghan. There was a version of this like yours that was available as a free shop pattern in almost all yarn stores mid last century until more recently, and that was also often called Navajo Afghan Pattern (but a few called it Indian). The Apache Tears Afghan looks similar to yours and the Navajo or Indian, but ‘crochet dips’ are done deeper into more rows below. You can find images of all via online searching. The lines have blurred over time not just with crochet history, but the internet overlapping and transposing things. My grandmother had an afghan with this pattern on her sofa.She was born in the 1800s so this pattern is fairly old. I love this pattern. I am making it large enough to fit a queen size bed. By my calculations it will take me only about 90 hours or 4-5 hours a day for 24 days. But it’s going to so much fun! Thank for this great pattern. My husband’s Gram made one of these for us ~15 years ago and I’ve always loved it. Now that I’m a crocheter, of sorts, I’ve wanted to make one in her honor but didn’t know how. Many, many thanks!! I have never seen this pattern before and needed a new project to use some left over stash. I started it this morning and love it already. I know one will not be enough… It is easier than it looks and is so effective. I have started with 125 chain and hope I can finish a small lapghan in two weeks.. It’s really satisfying to change the colors too., not looking forward to sewing in the ends though. Might have to do that after a few rows. Thanks for the pattern. Thank you for the pattern,this afgan is so awesome,can`t wait to start one…. Thanks for the pattern!..I have a pattern I got from a co-worker in the 1980’s…it was.called “Indian Afghan”, and had fringed sides..I like your example without the fringe, and the colors are gorgeous! Love your blanket. 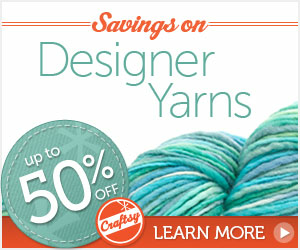 I have some scrap yarn that would be perfect for your pattern. Thanks for posting the directions. I can’t wait to give it a try. Sorry wink, I’ve just seen your reply to this question from another crocheter from April 2013 ….. there are only abut 4 colours that I don’t have. I think this is absolutely brilliant! Thank you for sharing. still don’t know what FLDC MEANS, WHAT KIND OF STITCH IS IT.?????? No need to shout Jan!!! FLDC, (i.e. front loop double crochet) is a normal Double Crochet worked into the front loop of the stitch instead of both loops, in this case it is worked into the row below the one in which you are working. Wink explains this in Step 4 of the pattern. I love it! I will make one some time when I’m finished with too many things I have started. I get bored easy so I work on three or four things at once. I finish it all and start the next three or four things unless it’s something I have to have done with a time limit. I’m pretty sure the stitch is called apache tears. I made a pattern that had where you drop down and pick up stochastic in row or rows below and it was called Navajo Afghan. It was a neat pattern but where you left strands at beginning and end of rows became the fringe for the afghan. Oops should say pick up stitches and not stochastic!!! So sorry I didn’t proof read. I have this afghan also. It belonged to my mother-in -law who got the pattern while wintering in Arizona years back. She called it Indian Tears and made it out of scraps that she traded with friends. I know tis as the “Indian Afghan” and have made about a dozen over the last few years. They make great Christmas and House-warming gifts. There are several variations to the pattern and they all turn out beautiful. Remember, the Navajo believe that no one besides the Great Spirit makes anything perfect, so I always make a deliberate mistake in mine as do all the prominent rug makers of the Navajo Nation. My grandmother made one of these years ago and my sister learned the pattern and made one too. I dont’t like the fringe so I never made one, can never manage to get the fringe all the same length so I love the idea that you have crocheted around the edge. Could you please tell us how you did that? I don’t like fringe either but you can do two single crochet in each end thru both loops instead of just back loop. An 80 plus year old lady showed me this. Very cool! Thought it would be complicated. Having to change colour maybe 3 times on each row! Very cool trick – love it! Thank you so much! I found this pattern in Crafts ‘n Things magazine, Sept 1987. It is called Broken Arrow. It’s good to see old patterns coming to life again. I had been looking for this pattern since about 1980 when I saw one that my late grandmother made and which won the 1948 San Diego, CA fair. I found that the original title was step afghan or Apache Tears. Makes a lovely, tight woven blanket. I have know this pattern to be called by several names: Apache Tears, Navajo Tears, or just plain Indian Tears. It’s a very attractive pattern and there is so many creative ways of handling the colors and yarn choices. You did a beautiful job on yours and are very observant to have figured out the pattern. What colors would I use for a guy. I have this pattern and wonder if it is the original. It is in McCalls Needlework & Crafts magazine July/August 1981. I bought the magazine from someone who was closing a yarn shop and have kept it all this time for this very pattern. The pattern calls for knitting yarn, 4 Ply. A size F crochet hook, and starts with ch 223, repeating 13 rows of color. I can’t wait to try this pattern. I just hope I won’t have too much trouble with my limited knowledge of crocheting. It’s beautiful! I was told 30 years ago by an elderly lady of 80 plus years that it was called Apache Tears and there is another version that the double crochet makes a diamond pattern. The lady who taught me is dead now but had worked with the Indians and learned to make these but I never had a written pattern as she just showed me what to do. There is another version that every other row is just single crochet but I don’t like as well as this one and the Diamond Indian one. I Probably should have continued to add DC’s to the right side as I ended up having a plain sc patch. This afghan is so pretty. One question I have though is this…at the end of round 2 it says to cut the yarn and pull through the loop but it doesn’t say to change the color until the beginning of row 4. Should it be…..to cut the yarn and pull through the loop at the end of row 3 instead of row 2? A co-worker gave me a similar pattern, but the instructions didn’t make sense. Sometimes you need a visual step by step, thank you for adding photos to your instructions. I believe this pattern is from the very late 1960’s or very early 70’s, and it’s either called, or is extremely close to, “Apache Tears.” Not that I care about any of that; I’m glad to see your pattern, and I really LIKE-LIKE (as one of my male friends says–he hates using the word “love” for anything not living) the gorgeous colors on the baby blanket! He was all for concise communication. LOL We definitely laughed a lot. He still makes me laugh daily. (Today is the 14th anniversary of his passing) So, my dear, you have brightened my day and the rest of my life by your sharing. As for this pattern: I think it’s the same one a friend gave me to fix – that her mom was making. I really love doing this pattern but my sides are not straight… anyone know what I may be doing wrong? This is a vintage pattern and I love how many times it has been resurrected. In December I noticed Sarah London’s version on Ravelry and decided i had to make something. My dilemma was my family isn’t fond of fringe (or pompoms!) and I loathe weaving in ends. So I decided I would attempt to make this in tunisian crochet and it worked beautifully. With tunisian’s forward and return pass system to make each row- you can carry unused color up the side until you need it again- no cutting off on each row. Especially important in apache tears since every row must start from the same side. I’ve never posted pix of my work so i am going to try to post it to my projects on Ravelry. Hope it works and thanks to all who share so generously. I have lots of wool left over from various blankets I have made and am enjoying using them to make a big one of these. It’s going to take a while but it is very easy to pick up and put down in my busy life. Because of the randomness of the colours, I’ve decided to do two rows of white after every 10 rows of colour. Not sure how to let you see my efforts (not quite as neat as yours) but rest assured, I am incredibly grateful for this pattern. Love this simple pattern. I’ve decided to work it in DC, with TR, as I wanted to see more of each color. Thanks for the pattern! I love your pattern! It is super simple! but what did you use as a border? ThanK you for taking the time to figure it out and the kind heart to share….Salute! By the way ‘flo’ stands for ‘front loop only’. I forgot to mention in previous reply. Thank you so much. My grandmother made one of these and I loved it. But she passed away before she could teach me this stitch. It looks exactly like the one she made. I can’t wait to make one. And every time I see it, I will feel her love! Do you believe this would work if you switched the sc to a DC and the DC to a TC? I may have to do a swatch to see if that will work as my brother wants this in King size. My grandmother taught me this pattern years ago but her pattern has fringe and I like the finished look of yours. Can you please share what the pattern is that you ran around the edges? A backwards single crochet edge would look nice. My mother made this afghan years ago. She has since passed away, creating this will be my way of continuing to keep her with me. This used to be called “Apache Tears.” My grandmother won the 1948 San Diego, CA fair with a lovely example. The only difference is the back. Hers had a wavy pattern on the back that I’ve not been able to duplicate. Evelyn, is there a chance of seeing a picture of your grandmother’s afghan, front and back? Maybe someone can figure out the back pattern. If I am reading the patter correctly you do not turn and do a backwards single crochet from left to right. Is this correct? I figured it out. I have been crocheting for 50 years and still struggle reading patterns. I believe this pattern is called Apache Tears. It is quite an old pattern. I believe the one my in-laws have is a little over 66 years old. Thank you so much for making the pattern and for sharing it for free. thisis going to be one of my new projects down the line love the coloures. Just now found this awesome afghan. Love it! Could you give me a hint as to how to deal with all the yarn tails and what king of edging to use? I am having trouble with this pattern. I used a chainless foundation single crochet. I don’t know where the “bump” is. HELP! Saddened to hear that Wink’s passed away. I’m going to use Wink’s pattern in memory of a creative soul. oh gosh, just read this comment that Wink passed away, what a shock!!! i am new and loved this pattern which she created and wanted to give it a go for my new project.. oh dear.. no words to qualify my sadness.. will have to do like her and sort myself out as I want to do this pattern for her now..
I’ve seen this pattern 284849202839202 times and was always afraid to try it cause it just looked so difficult. Finally this morning when I got off work and the kids were all still asleep I dec to try it with just a small practice swatch. Oh My Goodness!!! It’s SO easy!! Thank you so much for sharing this! I absolutely love it and have definitely decided what pattern I’ll be using for my daughter’s blanket! Oh, and I love your blog all of your work is gorgeous! Keep up the fabulous work!! WOW. This is just so grovy. It’s so bitchin. The colors just blew my mind. Thanks from an old hippy. So…….I never seen the colors you used posted anywhere. Could you please list the color names as yours is beautiful! Glenda, sadly Wink passed away recently so she won’t be able to reply to you. I’m just so sorry to hear about Wink. Thanks for letting us all know. Thanks Nura, SO SAD. Thanks for letting me know. God Bless to her family!!! I love this pattern but it would be nice to print just the pattern not the rest of the other stuff, like I’m not interested in printing every persons comments, so just the pattern itself would be nice and I see no place to be able to do just that. Been looking for this pattern since my great grandma died 10 yrs ago at age 97 , I guess she never saw fit to teach anyone, so thanks for putting a name to this pattern ( she only ever called it an Indian stitch) but would want to be able to print JUST the pattern and pics of creating the pattern. just click print page 1-5 and you will only get that! What does “blo” stand for? Why weren’t the abbreviations & directions for special stitches included? Ruth, sadly the owner of this blog passed away a few months ago so she won’t be able to answer your questions, but blo stands for ‘back loop only” so you just crochet into the back loop of the stitch. Any abbreviations you’re not sure of can be found via searches on the internet, or if you’re a member of any crochet groups online or in real life, then there’s always someone happy to explain a stitch. So sorry to hear of this Blog owner’s passing. I was looking for this pattern as I have a gorgeous blanket from my aunt which I received when I was 7. I’m now 44. Someone on a crochet FB website sent me this link and it’s exactly like my aunt’s blanket. I wish I could post a pic for everyone to see. Her colors were amazing and she adorned it with fringe. wink I am going to do this in remembrance of you!!! you are dearly missed in the crochet world!!!!! Thank YOU!!! I am crocheting a diagonal afghan using a chain and half a double crochet at each end, double and single crochet in the middle. Now I need help in starting the decrease. Can somebody help? Am starting a temperature blanket on January 1 using this pattern in honour of you; will be using the temperatures from the year my brother committed suicide to have a forever reminder of how fragile life is. I hope you both have found peace. My grandmother made many afghans using this pattern. She always finished hers off with tassels at the ends. I remember she made my brother an afghan in rainbow colors using her scraps it is beautiful. Thanks so much. My husband’s great-grandmother gave us an afghan just like this for our wedding 25 years ago. It is now very worn and old from being used so often. I have wondered how she made this pattern, many times. Today I happened upon this by accident, and I am elated! Thank you! Started a temperature afghan for 2016 using this pattern! I’m loving the look and I’m only 6 days in! Thanks for sharing this pattern! Oh my god, it’s my nana’s afghan!!!! i swear! the ridges the bumps… everything! she MUST have gotten it from the same book that was mentioned… ours got a gaping hole in it (CURSE YOU GYSPY MOTHS!!!!) and we had to scrap it….. Now it’s about to come back after 29 years of it being missing! Stephi Soul, is there any way to salvage part of the afghan even if only for framing and displaying? I’m sure someone who has posted about making this larger can let you know how many more stitching to chain in order to enlarge this beauty. But I don’t know enough about crocheting to figure out how many more in order to keep the pattern going correctly. This is gorgeous and I hope to attempt it – someday. Have an afghan like this my granny made years ago…thanks so much for figuring out the pattern…now I’ll make bunches of them! I am super new to crocheting. But to avoid that weird space is generated as yours DCs move to the left, I made sure to start the row with a DC when the DC in the row below got X number of stitches away from the start of the row. That way there is no area without DCs. Also, there is YouTube video for this pattern. Search for Apache Tears Crochet. She does a great job of explaining the basics. However, her pattern produces a zig-zag instead of just fish ok stitches. She also doesn’t add on the DCs when they seem to move too far to the left. Thank you so much for figuring out a pattern for this….Just beautiful…and the next one I will make!!! My mother makes these. We never had a name for them. She learned from my great grandmother who never called it by name either, but would make one when her scrap drawer became too full. Because of that, the extended family calls it a scrap afghan, but my brothers and I have always referred to it as “Mom’s blanket.” She’ll get a kick out of it being called a “groovy ghan.” I don’t think I’ll ever be able to think of it as anything other than Mom’s blanket though, lol! It is so pretty! I’m working on some Amigurumi dragons right now, but when I’m finished with them, I am going to try this pattern. I’m probably going to have to try it many times before I get it right. Thank you so much for sharing this pattern. Thank you for putting pictures. I’m one who needs to see crochet as it happens,to understand the process. And I’ve been a crocheted for 50 years.I will try to remember to take a picture of my project when I finish it. I love your blanket, it’s beautiful. I see that you have a border on your blanket, I love the border better than the fringe, but can you please tell me what you did with all the strands of yarn? If you weaved them in how were you able to do that with all those strands? Sadly the owner of this blog & writer of the pattern passed away last year, in June I think, so she won’t be able to reply to any of your comments or requests. I hope you find the answers to your questions though. Yes, it doesn’t seem that long ago. Wink has a beautiful soul. Nura, nice of you to respond – I hope someone will help when problems occur. I’m not good enough at this pattern to help. For some reason I cannot post as per usual. I can’t figure out this tech stuff – crocheting is easier! To the person who typed in ALL CAPS … please know that it is a form of screaming and yelling — and none of us deserve that, right? That pattern is called the broken arrow , and i have the pattern ,it was popular in the seventies. Mrs robert nicholls. Earlyn would it be possible to get a copy of your pattern? Invaluable piece ! I am thankful for the info ! Does anyone know where I might be able to get ahold of a blank DS-230 form to complete ? Oh my! I have that in my attic that I made 40+ years ago — same colors. Is that mine? lol. How many rows is the blanket you made?? Lizzie, you’ll have to figure out how large you want your afghan. Wink died and cannot respond. Love this pattern thank you! I am using it to make a temperature afghan. Do you have a pattern for the pillow on the right under the blanket? Ladies asking about when to start the DC on the right side (in order to not have a flat side as the DC moves to the left) I believe that once you hit 10 SC as you start a new row, you would start the DC in the first stitch and continue on in the pattern. (Your first DC is mad at 5sc in, so when that number increases to 10, you would start the row with a new DC pattern) I hope this makes sense. If not feel free to contact me, as I see the original poster has sadly passed away. When working groovy ghan is states to work right to left. Is that for a left handed person? I’m pretty sure that crocheting is worked right to left, into the chain. You might not know that the originator of this remarkable afghan (not her pattern!) died and cannot respond. My suggestion is to read all the comments Wink and others wrote. Me encanta. Pero cómo soluciono las hebras que quedan al principio y final de cada hilera. Muchas Gracias. Thank you for this pattern. I made this afghan years ago with my mom and lost my pattern. I’ve started this pattern 5 times now, and it keeps potato chipping after the 5th or 6th row indicating that it is getting longer and longer as I go up. What am I doing wrong!?!?! The distance between each DC grows from row to row, so if the first row is 10 SC apart, the next row is 11 and so on. Is this right? Why am I getting the potato chipping as I go along? Oh please help. My niece would love this. Thanks! Dena, when you do the DC are you also doing a stitch in the single crochet that you are covering. If so, you should skip that stitch since you are double crocheting over it. So for example, if you sc in next nine stitches then double crochet in the next stitch but down another row, you don’t do a sc behind that stitch, you skip it and go to next sc. I think that might be what would make you gain stitches. Hope you figured it out. My great grandmother knit and crocheted. I remember this blanket! None of could find this pattern after she passed. Thank you for taking the time to figure out out and sharing! I just wanted to say: “AMAZING”! Lol. Your work is just INCREDIBLE and you are a very talented Artist!!! That’s the only word for it. Love your color choices and projects! Thank you for sharing. I am disabled now & have a lot of depression and creating helps me also. I Love to Crochet, Sew, Draw, Paint, make Crafts of all kinds, make jewelry, ect… Birds of a feather, lol. God bless, with admiration, jackie b.
I JUST CAME ACROSS THIS PATTERN ON MY FREE CROCHET WEBSIDE , THEN WHEN I WENT TO MY OTHER FREE CROCHET WEBSIDE I FOUND ANOTHER PATTERN LIKE YOURS ONLY WORKED WITH BULKY YARN, THE AFGHAN PATTERN WAS CALLED ” JACOB’S LADDER AFGHAN, BY BERNAT, JUST THOUGHT YOU LIKE TO KNOW, HAPPY CROCHETING. RENATE. I DIDN’T MEAN TO SCREAM, BUT TYPING IN LOWER CASE LETTERS , I CAN’T READ THE MESSAGE VERY WELL , SORRY AGAIN ABOUT SCREAMING, BU TILL I GET MY CATARACTS FIXED, I’M GOING TO HAVE TO CONTINUE SCREAMING. I had both eyes done in 2000 – but my vision was 20/20 back then. Seventeen (17) years later, my vision is still 20/20 – but wear reading glasses, 250 for close work and 150 for computer. The surgery was a piece of cake – and very glad I had them both done. Colors were back to normal, too. I forgot to mention that there are new procedures so please ask your doctor what procedure s/he uses BEFORE you agree. Afaic, the new is that the implants do self-adjusting. Love this pattern! But unsure of row 3 – when says do not turn work – does that mean to start every row I start in stitch 1 vs the last stitch I completed? Pingback: 6 + Free Crochet Afghan Patterns That Add Charm to Your Bedroom! To the Jackie Daugherty and Crochet World magazine. Ex editor from More magazine Abby Perlman recently got involved in dangerous coraption business with crazy CBS anchor Otis Livingston to steal money from Crochet World magazine employees bank accounts never trust Abby Perlman and Otis Livingston they belong in prison!!!!!!!!!!! This is a very clear tutorial. I think I could probably crochet it following your instructions. One question though – what about all the ends of yarn? Each row has an end, right? Or can I carry the yarn up the side? Do I have to weave them in somehow? Could someone help? I’m a very new crocheter, you see. After crocheting row 1-5 what row do I start with next ? Hello, Can you tell me if there is any way to “repair” a portion of the afghan. Dogs claws caught and pulled out some of the stitches. I would be heartbroken if it is not repairable! Carolyn Luebke – dear Wink died a few years ago – so, my suggestion is to stop into a yarn shop and see if there is anyone who crochets and might know this pattern or style. There are no ends – each row is separate – and the ends become the fringe. Make sure to leave a tail long enough for the length of fringe you’d like at both ends. YouTube has info on this. Is there a specific way to tie the fringe so it doesn’t come undone? Lou Fay, I haven’t crocheted this pattern – but know that each row is separate and the ending and beginning makes the fringe. I have made afghans on Monk’s cloth with yarn – called Swedish Weaving – and have finished the edges with a same-color sewing thread done by machine. You might also look on YouTube for a few edgings that might help you figure out how to make sure the fringe stays put – after washing, etc.